Facebook has an average of over 2.2 billion active users monthly. That’s nearly a third of the entire human population on Earth, which makes Facebook the apex predator of all social media sites. Despite it being a particularly hard year for Mark Zuckerberg’s flagship social media platform, Facebook still remains as popular as ever and its user base is predicted to grow even more. Facebook’s popularity is built on innovation and the ability to share. It continually improves on this almost quarterly. Because of this, making and sharing content like videos is a lot more accessible and easier than it used to be. It’s getting to the point where Facebook will become a worthy contender for hosting exclusive video content when compared to sites like Vimeo, Daily Motion and YouTube owned by Google. What also sets Facebook apart is how secure it is in terms of hosting video content. This makes it particularly hard to download videos from Facebook. I predict in the future it’s going to be even harder to download videos from Facebook for later viewing for preventing data leakage. Both Instagram and Facebook host their media on a Facebook server. They ensure your content’s security through embedding and sometimes, encryption. Now I will show you how to avoid this and help you successfully download videos from Facebook with these Facebook video downloaders. Tip: Facing the predicament of losing your Facebook videos or messages? Try to recover the deleted Facebook messenger messages and videos from Facebook with tricks. 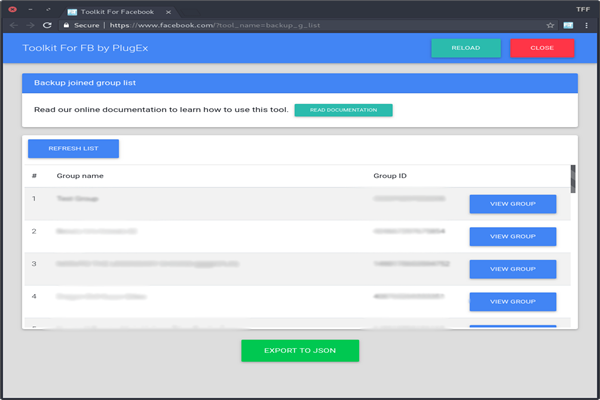 Toolkit for FB by PlugEx is a Facebook video downloader for Chrome, which means it is a Google chrome extension that provides you with a set of tools that allow you to automate certain processes in Facebook. It’s a very useful extension that can make any person’s experience with social media a lot easier. Toolkit for FB by PlugEx allows you to download both private and public videos from Facebook with very little hassle. Now let’s begin. After you’ve finished downloading and adding the extension, double click on it. This will take you to the toolkit selection page. Browse down and you can find the ”Download Facebook Videos“ tool. It should be the 8th option. Alternatively, you can use the search bar to find it. Click on “Start Tool”. This will take you to the tool page. What we need to do now is getting the Facebook video URL and paste it into the input form. How do you get the video URL? This is quite simple. You can copy the video URL directly from your browser’s address bar (if you’re on the video’s page) by right clicking on it and clicking on “copy”. Or you can right click on the video, then select “show video URL”. This will bring up the Facebook video URL text box where you need to right click and copy the URL. Once you have the video URL, you need to paste it into the Facebook video downloader’s input box then click on “Download Facebook Video” just below the textbox. Once you’ve clicked on “Download Facebook Video”, it will load and then generate a link. After this process, it will automatically open a new tab for you where you can save the video. Once it opens this new page, right click on the video and select “Save Video as”, and this will open a dialogue that will allow you to choose where on your computer you want to save the video. This method is one of the easiest ones out there and it works whether the video is private or public. If you still feel like it could be easier, I have another method for you. If you’d prefer not to download an extension or use chromes, there’s always a web application to suit your needs. Get FB Stuff is a website that offers a web application to help you download videos from Facebook. Because it is a web application, it is a platform independent. This means you can download it from any device or operating system that is compatible with web applications. Start by getting the Facebook video’s URL. Look at step 4 of “Using Toolkit for FB by PlugEx” if you need help. Open Get FB Stuff video downloader. On the web application, post your Facebook URL into the “Enter URL/link…” text box then click on “Download”. If all goes well, it will take you to a page that allows you to select the video quality where you can choose to download the video in standard or high definition if it’s available. Choose the definition of your choice by clicking on the corresponding button. This will then take you to a page where you can save the video. Right click on the centre of the video then select “Save Video as” from the context menu. A dialogue will pop up to allow you to choose the location of where you want to save the video on your computer. Wait! What if the Video is Private? When trying to download a video from Get FB Stuff, you might get an error screen. Don’t fret, this means that the video you were trying to download is private. Luckily, Get FB Stuff offers a tool which functions as a Facebook private video downloader for. Just click on the “FB Private Video” near the top right corner of the web application. Right click on the Facebook video, and open it in a new tab. In the address box, replace ”www” or “web” with “m” in the Facebook video URL then hit “Enter”. View the page source by pressing “CTRL+U”. Make sure your cursor focus is on the text, then press “CTRL+A” on your keyboard to select all the source code. Copy the text by pressing “CTRL+C” on your keyboard and then paste it into the text field on the private video downloader page. Once this is done, click on the “Download” button which is positioned just underneath the text box. Once again, this will take you to a page where you can select the quality of the video you want to download. After selecting the quality you can then go ahead and save the video onto your computer. 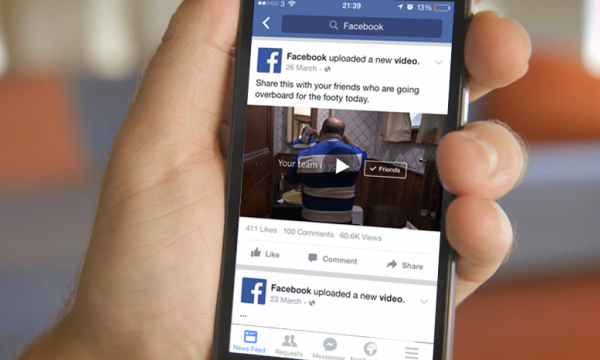 In the future, viewing videos on Facebook will be an integral part of its experiences. And it can be argued that it already is. I hope this will make saving videos for later viewing a lot easier. By the way, if you need to convert your videos to other popular formats, such as 3GP, AVI, FLV, MOV, MP4, M4V, MPEG, MKV, RMVB, TS, VOB, H.264, HD WMV, DivX, XviD, etc, you can use this Video Converter to help you. Hope you enjoy this article! How to Download Game of Thrones Season 7 Episode 4 Subtitles?